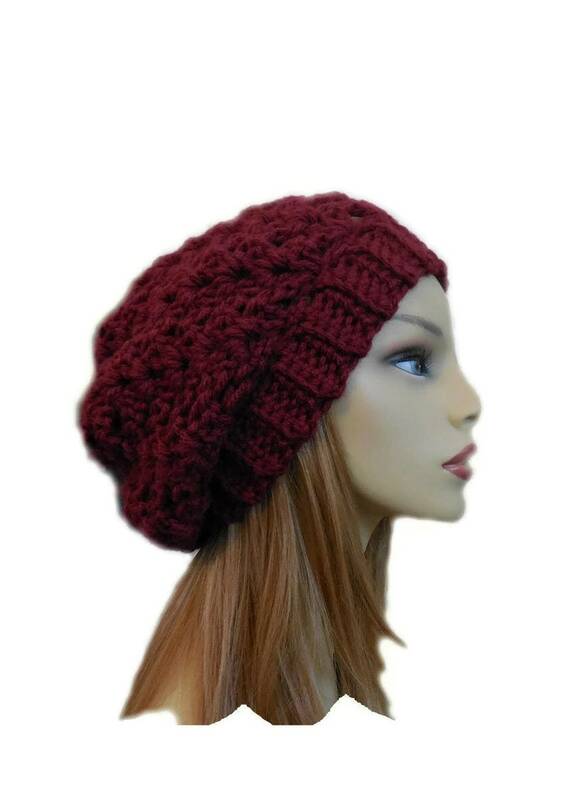 Burgundy, Wine, Mulberry color lambs wool blend in our BEST Selling Slouchy Hat Beany design ... using Chunky Yarn! 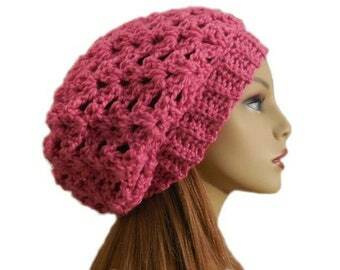 Here is our most popular Slouchy Beanie Hat design in a wonderful chunky lambs wool blend yarn. 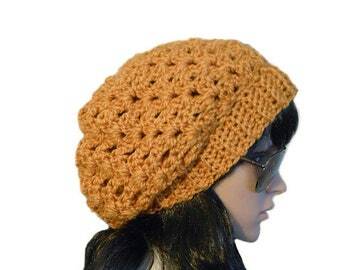 The yarn has the warmth and feel of lambs wool yet has the easy care of acrylic! Approximately 19 to 20 inches circumference (the hat band), with stretch. 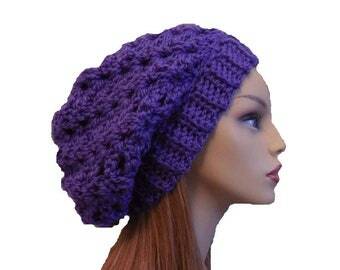 It is handmade crochet with chunky yarn that is 20% lambs wool, 80% acrylic in a burgundy wine, mulberry color.